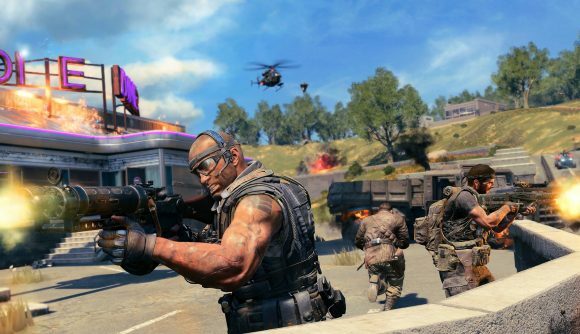 Call of Duty: Black Ops 4’s Blackout has made survival a little easier in its latest game mode, adding a respawn mechanic to the battle royale. Down But Not Out, which began earlier this week,will allow players who otherwise would have been eliminated to rise again, as long as the rest of their squad is still alive and kicking. You can only play Down But Not Out as a squad. If you’re eliminated from the game, you’ll be able to respawn the next time the circle shrinks, as long as at least one of your squadmates is still alive. Of course, you can still be revived if you’ve been downed – the new mode caters to those players who have been finished off after suffering lethal damage in the course of a normal gunfight. In theory, it should make getting to the first place finish a little easier, but I’m imagining it’ll also make the final few circles pretty crowded, as all of those Lazarus-style squads converge on the end of the game. Sadly, although you’ll be able to return to the game once that circle closes in, your gear won’t, which means your options are limited. Scrabble around for some last-minute weaponry, borrow from your squad mates, or just resort to using your fists? As with most Black Ops 4 updates, Down But Not Out has come to PS4 first. If you want to play on PC, you’ll probably need to wait until January 23. From then, you’ll be able to play until Wednesday, January 30.